Among atheist advocates, it has become fashionable to dismiss theism with the mantra that unbelievers, like theists, are atheist with regard to a host of entities considered to be divine at sundry times throughout history. Atheists, we are told, merely acknowledge one less God than theists. If believers understood why they reject Zeus, the argument goes, they would understand why atheists reject their God. Unfortunately, dismissing theism on such grounds betrays a paltry acquaintance with the very idea of God, let alone the God revealed in the Bible. It is true that many concepts of God present us with entities that are nothing more than glorified human beings. But anyone who is familiar with the relevant religious and philosophical literature on the subject does not need to be told that such untutored notions of God are just pointless red herrings. Popular level atheism may be fodder for invigorating debates on the Internet, but it has little, if anything at all, to do with God. God is not one being among other beings; God is being itself. In philosophical parlance, God exists necessarily—God cannot not exist! Every other entity finds the reason for its existence in God. Spaghetti monsters and teapots in orbit are material objects that would stand in need of explanation, even if they really did exist, since they do not exist necessarily. But we can also dismiss such examples precisely because we know enough about spaghetti and teapots to know what it would take to get them to play the roles detractors of faith in God assign to them. To say they are infinitely under qualified is a gross understatement. 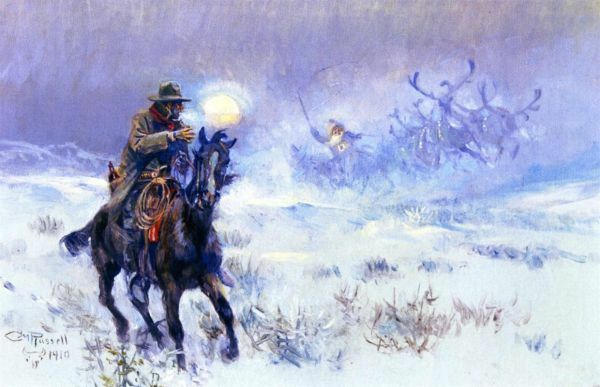 Charles M. Russell, Seeing Santa Claus, oil on canvas, 1910, C. M. Russell Museum. But not only is God the ground of Being and the reason everything else exists, the Bible tells us that, ultimately, reality is personal. For God, the Being from whom all things came, exists as a Trinity—three Persons in One Being. These truths about God—God's necessary existence as the grounding of all of reality, the relationships that exist within the Trinity and God's personal nature—are profound truths about the glory and majesty of God. Only the Christian faith can countenance them all. Thus far from being a problem for Christianity, the Trinity solves a major difficulty for humanity by providing us with a coherent explanation for our origin and purpose; both in this life and in the life to come. The Bible also tells us that human beings are made in the image of God. Our powerful relational capacities are therefore not accidental: they are a reflection of reality at its very core. As a matter of fact, our capacity for relationship can only be fully satisfied when we are properly related to God. Religious systems that conceive of God as a personal Being who nevertheless exists as a single entity cannot sufficiently account for the fullness of God since such a God lacks anyone with whom he can be in relationship. For example, such a God would have to create out of the necessity to actualize his love. But within the Trinity, there is the eternal unity and community sustained by the self-sufficiency of God. A common objection to the claim that God, who is love, would not have had someone to love before He created is to ask how God was able to actualize attributes such as anger and mercy, which are also relational in nature, before creation. If mercy can exist in God as a latent capacity sans creation, why can't love exist in the same way? Once again, there is a serious misconception of the nature of perfect relationships lurking in this objection. Attributes such as anger and mercy are not necessary to the nature of God. They are contingent upon there being imperfect, sentient creatures. They are by definition absent in a perfect relationship, such as the one that exists among the members of the Trinity. They will one day be eternally absent from those who choose to follow God's way, for "when he appears we shall be like him, because we shall see him as he is" (1 John 3:2b). No criticism of faith in God that fails to take into account the fullness of God and the perfection promised those from whom sin will be eternally purged touches the essence of the Gospel message. J.M. 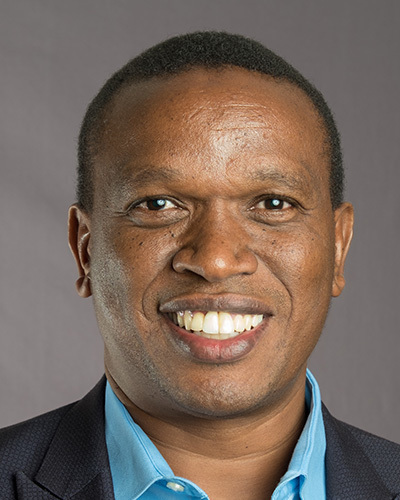 Njoroge is a member of the speaking team at Ravi Zacharias International Ministries in Atlanta, Georgia. (1) Quoted by Antony Flew in There is a God: How the World's Most Notorious Atheist Changed His Mind (San Francisco: HarperOne, 2008), 92. (2) Timothy Tennent, "African Traditional Religion in Practice," https://www.biblicaltraining.org, accessed June 23, 2015.